If you are employed by a member company and have completed your third or fourth year apprenticeship, ECAS offers two $500.00 scholarships. One each is presented to a 3rd and 4th year apprentice of an ECAS member employee who has done exceptionally well in their apprenticeship courses and provides background on their career goals. In addition, Klein Tools provides a $500.00 tool voucher for each recipient. Candidates are selected in consultation with the Saskatchewan Apprenticeship. 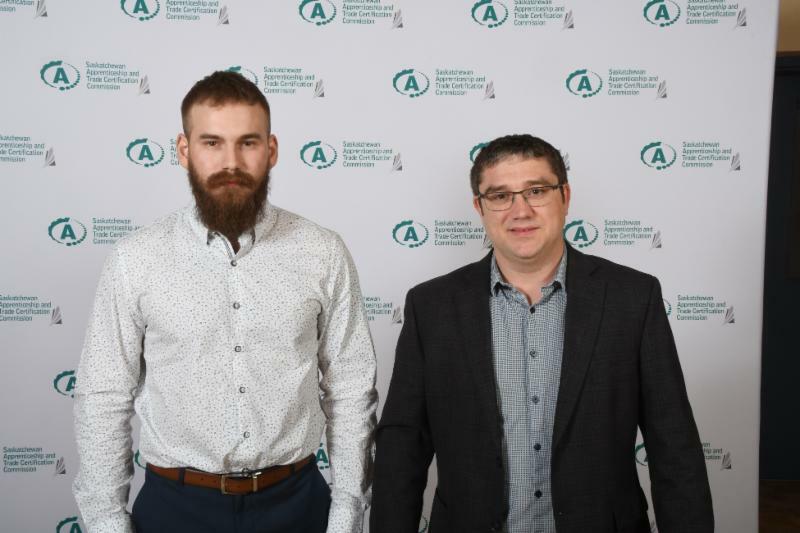 Dylan Frey PS Electric Estevan (left) pictured with Côme Préfontaine (ECAS President) at the SATCC Awards Dinner. Picture for James Hills not available at the time of production.